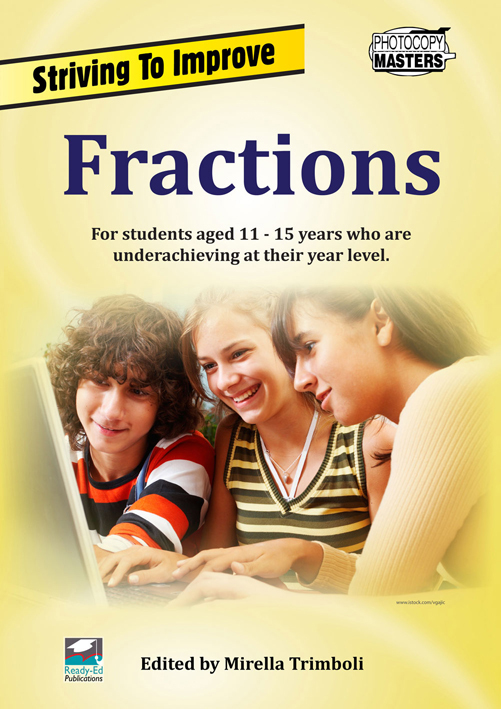 This book, Fractions, is focused on the Number and Algebra Strand of the Australian Curriculum for lower ability students and those who need further opportunity to consolidate these core areas in mathematics. The section entitled Understanding Fractions enables students to re-encounter ideas of equivalent fractions, simplifying fractions, improper fraction, mixed numerals and comparing fractions. 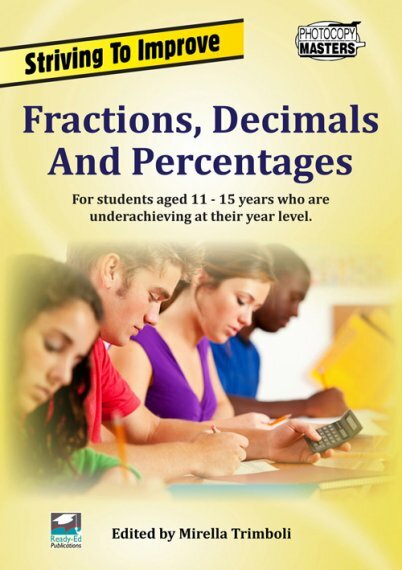 The section entitled Calculating With Fractions walks students through the four core calculations. 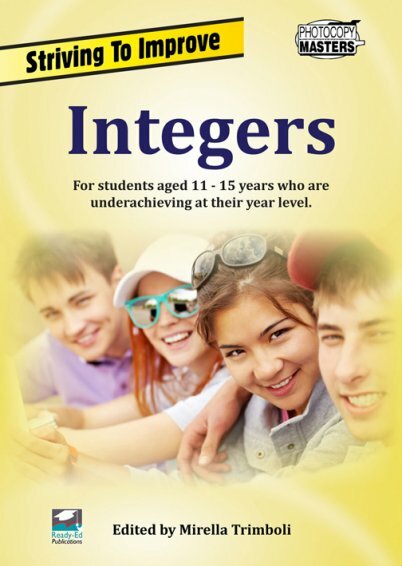 These activities are a useful way to scaffold a new unit of Mathematics and will help build confidence for lower ability students to attempt more challenging problems at their year level. 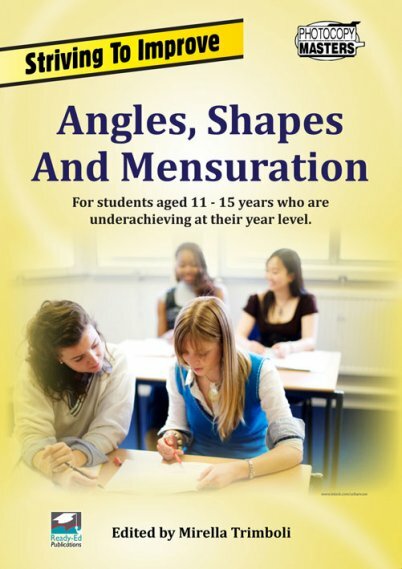 The activities are designed to guide student learning with minimal input from the teacher and there is a strong emphasis on process and understanding.The activities can be used for individual students needing further consolidation in a mainstream classroom or as instructional worksheets for a whole class of lower ability students. The activities are tied to Curriculum Links in the Australian Curriculum ranging from grade levels of Year 4 through to Year 7 and are appropriate for students requiring extra support in Years 7, 8 and 9.